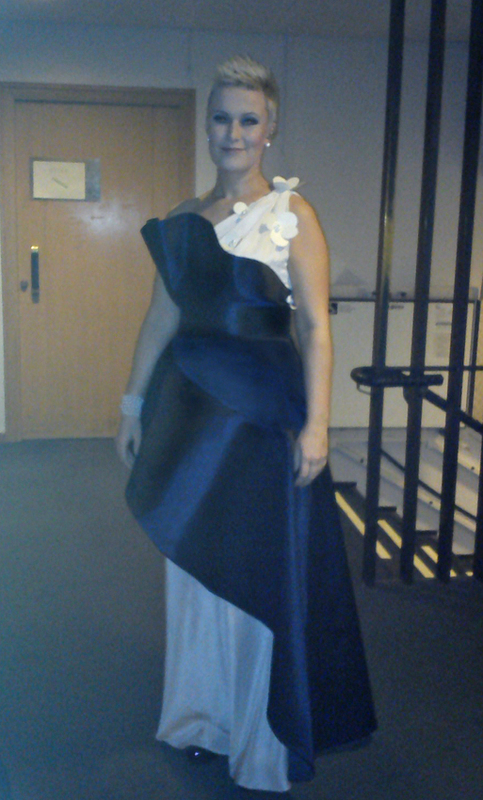 As promised (a long time ago), here comes a post of the dress I designed for a Finnish singer/songwriter Eeppi Ursin. In Finland there are not many real red carpet events (read: none), but the biggest event of the year is our independence day party, which is hosted by the president at the presidential palace on the 6th of December every year since 1919. First it used to be a smaller gathering for a very selected group of people, but during the years it has developed into a huge media event with hundreds of guests who have achieved something special during the past year. Among this selected group are automatically all the congressmen -independently of any achievements. This year my talented friend Eeppi Ursin was invited to perform at the event and she asked me to design her dress for this great occasion. As I had previously executed a music video for her, for which I also designed the costumes, I wanted to maintain the same concept for this performance as well (design management ☝). 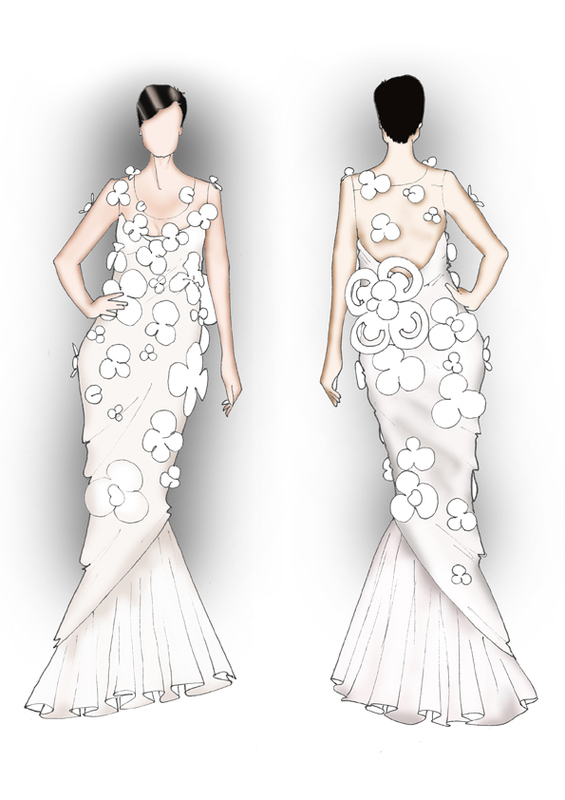 So my very first idea was to have some paper flowers on the dress. 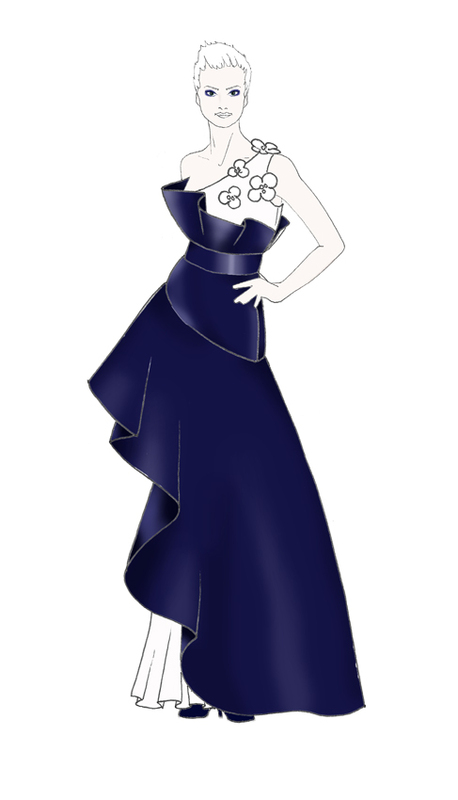 I also wanted to make the dress have a kind of national romanticism in it. And to get to the right mood, I began to listen to Finnish music from the composer Jean Sibelius, who is considered our national treasure. I closed my eyes and let my thoughts travel. I obviously shared my thoughts with Eeppi and as I wanted to make a dress that would please her as well, I made a few sketches and had her choose the one she liked the most. However, I did agree with Eeppi that the design she chose was maybe a bit more appropriate for the occasion . 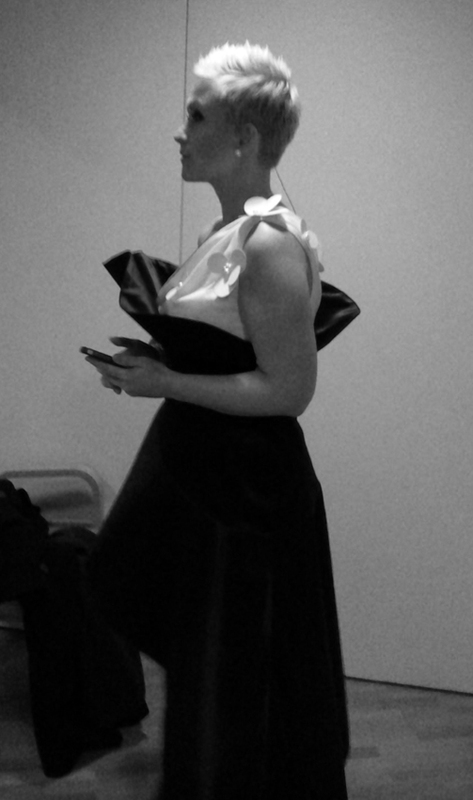 And here is Eeppi wearing the dress.